Eyal was a Principal at Greylock IL, Greylock Partners dedicated fund for Israel and Europe, where he was involved in investing over $100 million in capital in start-up companies. Eyal¹s father owned a small business in New York and saw first-hand the financial toll of having to wait on long payment cycles, often not taking a salary for months before payments arrived. This inspired Eyal to start BlueVine to provide a solution that enabled small business owners to grow and prosper through his company, BlueVine. As BlueVine¹s founder and CEO, Eyal gives small businesses access to working capital by providing advances on outstanding invoices. 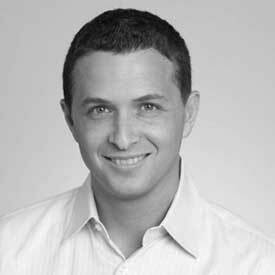 Eyal has an MBA with high honors from the University of Chicago, where he was a Carlton Fellow.